Get ready to discover what playing doctor looks like for a post-millennial generation of kids. 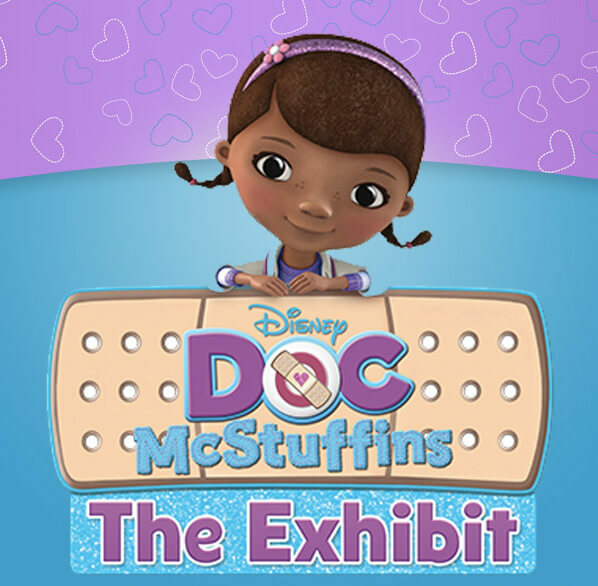 The imaginative, bi-lingual Doc McStuffins: The Exhibit, based on Disney Junior’s Peabody Award-winning television series, will be opening its doors at the Strong Museum on February 9th. Created by the Children’s Museum of Indianapolis, the exhibit is currently on a nationwide tour, and Rochester is lucky to be its home through May 27th. The exhibit is included with general museum admission fees, but be sure to manage expectations — Disney character live appearances are not part of the exhibit. Activities are designed for ages 2-8, but helpers of all ages are welcome. A real-life Doc McStuffins toy hospital. Fans of the show know that Doc works her magic, caring for broken toys and stuffed animals, in her backyard clinic. While Doc manages the clinic, she’ll be sending visiting doctors in training to the new McStuffins Toy Hospital! There, through imaginative play and hands-on activities, children will learn important life lessons about health and wellness. It’s an immersive environment where families can learn together, better understand what hospitals are all about, and – most importantly – make lasting memories. Like a real hospital, the McStuffins Toy Hospital has several departments. Here’s a bit about the activities in each area. For full details, download the Exhibit Concept Overview. Learn empathy and nurturing behaviors with Lambie. Lead your baby doll through a naptime routine, including feeding a bottle, singing a lullaby, or rocking in the chair. Give your baby a bath and change its diaper. Animals need care, too! Learn about everyday and medical care with Stuffy. Scan your pet using a pretend CAT scan machine. Hear Doc’s diagnosis and treatment for your pet. Give your pet a pretend bath then dry and comb its hair. Turn a crank to recharge your pet’s energy level. Change the “water” in the fish tank by filling it with new, clean balls. Feed the fish using balls as pretend fish food. Place your pet in its home so it can rest up. Really see the tools used in a hospital with Hallie. Set your toy on the check-up table and perform an exam. Enter your patient’s diagnosis in the Big Book of Boo Boos, then email it digitally to yourself. Practice mending a ripped toy. Scrub in for an operation. Inflate a toy that’s lost its air. A simple visit to the Doc McStuffins exhibit is a special occasion, but the Strong has even more in store on a few select dates. First is the Exhibit Opening Celebration, Saturday and Sunday, February 9th and 10th. During the opening celebration, kids can make their own doctor bag and Big Book of Boo Boos. The Strong Museum’s resident toy doctor (and director of conservation) will give guests tips about how to keep their toys in tip-top condition. Little ones who bring a favorite plush toy can learn about vital signs and medical equipment from Golisano Children’s Hospital staff members in the Teddy Bear Clinic. Then, during February break (2/16-2/24), kids can check out the Doc McStuffins School Break experience to get quizzed about healthy habits, try exercises like frog jumps and lunges, and design a Healthy Hero badge. The GUND Teddy Bear Check-Up area will be open as well.